PayPal is the biggest channel for paying and receiving money when you work online, the fact that it can be used with debit Payoneer card is very convenient. Some of amateur freelancers are usually very frustrated when they find that PayPal does not work with their local banks and therefore their funds are locked in, or they pay very expensive 3rd party services to access their money. Due to this, the freelancers lose out on a number of projects that could scale their freelancing career to a new height. But do not let a small thing as this, bog you down. It is more than two years in which PayPal extend their service to Nigeria and 9 other countries. But I don't know the reason why PayPal not yet remove the restrictions on other features, especially the ability to receive fund/payment i.e Nigeria PayPal cannot receive fund/payment. Nigerians and other non supported countries still looking for the option of opening other countries PayPal account, especially that of the USA which is the best of all. Many Nigerians have been opening USA PayPal account, although some got it right while some got it wrong and get banned at the end. 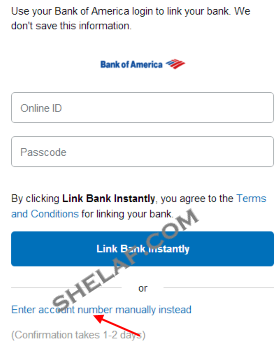 There are lots of information on the internet on how to open and verify a USA PayPal account, but most of them are either outdated or useless. In respect to this, I've decided to come up with this latest information on how to open a PayPal account outside of giving countries and how to verify PayPal account all over the world, this method work on all countries. Before we start, hope you have got a Payoneer account else visit Payoneer.com and create your Payoneer account. You will be given a US Payment Service Information such as Bank Name, Routing Number, Account Number and Account Type. Payoneer comes as an angel in disguise to help you receive money from any part of the globe when other techniques fail. And guess what, you don’t have to pay a single extra penny for that. Click here to earn $25. If you Sign UP for Payoneer through an affiliate, you will get a $25 bonus and someone who referred you will get the same bonus. However, you will only get this amount after you get the first payment of $100 through the card. Now, go to fakenamegenerator.com and Sign in using your Google+ account. Click on the Gender and select your gender (Male or Female), leave Name set to ‘American’ and Country to United States and click on the ‘Generate’ button to generate a US citizen profile. When the US citizen profile has been generated, click on ‘Save this name’ to save the profile with your Google account so you can provide same profile if ever PayPal requires it in the future. Then write down the Address, Zip code, Phone Number and SSN from the generated profile. The name won’t be needed though since you will be opening the account with your own name. Now you need to create a special gmail account or yahoo as the case may be. 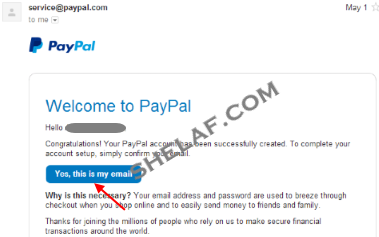 Be careful, don’t ever use this special email for any other thing online just for PayPal only be warned. Now, visit Paypal.com and click on the Sign Up link and create an account there. Fill in your detail, space for email (write the special email you just opened) and don't forget to choose the United State as your Country or region. 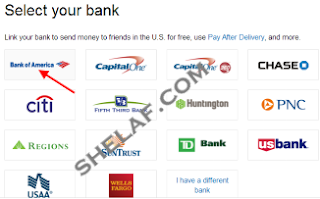 Fill the rest of the form and ensure to use the same names you used on your Payoneer account on PayPal as well. Use the address, phone number and Zip code you got from the generated profile. On completion a verification link will be emailed to you. Click on the ‘Yes, this is my email’ button on the email sent to you to begin the activation of your PayPal account. 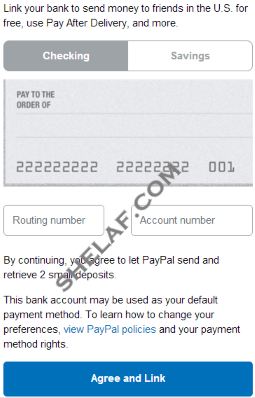 By adding Bank account number and routing number given to you by Payoneer to PayPal. Verifying your PayPal with Payoneer Bank account number will give you access to transfer money from PayPal to Payoneer and withdraw your money without any much stress. 9. Once the Payoneer Master card connected, your PayPal will be verified with 60% bar and you can start using it to receive and make payments online. 2. Drag the pointer to the right hand of your homepage or dashboard and hover it on “profile” or on Confirm your account as it may appear. 5. Then scroll down and click on 'Enter account number manually instead'. 7. Enter the Bank details that you had received from Payoneer US Payment Service, like Account number and Routing number. (You can also get this info by login to your Payoneer account, from the home page, click 'Global Payment Service'. You will see the needed detail there). 8. Then click on 'Agree and Link' button. This will take 2-3 business days to get processed. Once you are able to do this correctly, your Payoneer account becomes linked and verified with PayPal! Now, you will be able to transfer the money paid into your PayPal to the US bank, which you added and you can withdraw it in your local bank through your Payoneer Master Card. Warnings: Always ensure to use a US IP address while accessing your US PayPal account. Dedicate one browser for this alone, otherwise clear your browser cache and cookies always before login to your US PayPal Account. I'm using UC Browser for my Payoneer and PayPal alone. 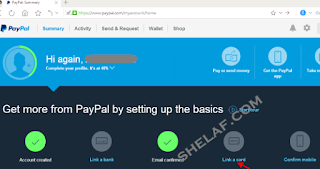 You have finished reading How to Open and Verify a USA PayPal Account with Payoneer Account and Master Card and many articles about Tech Gallery in our blog this, please read it. and url link of this article is https://littlebitjohnny.blogspot.com/2016/06/how-to-open-and-verify-usa-paypal.html Hopefully discussion articles on provide more knowledge about the world of new tech gadgets.